School starts next week here… what? how is it that time of year already?? Back to school totally tells me that FALL is coming!! Can you believe in just a few months we will be back into the chilly fall season? I am so excited because this is my favorite time of year. The holidays start and we are busy making memories! I was a little surprised to see certain stores selling holiday decor already, but then I realized how I could start decorating my house! 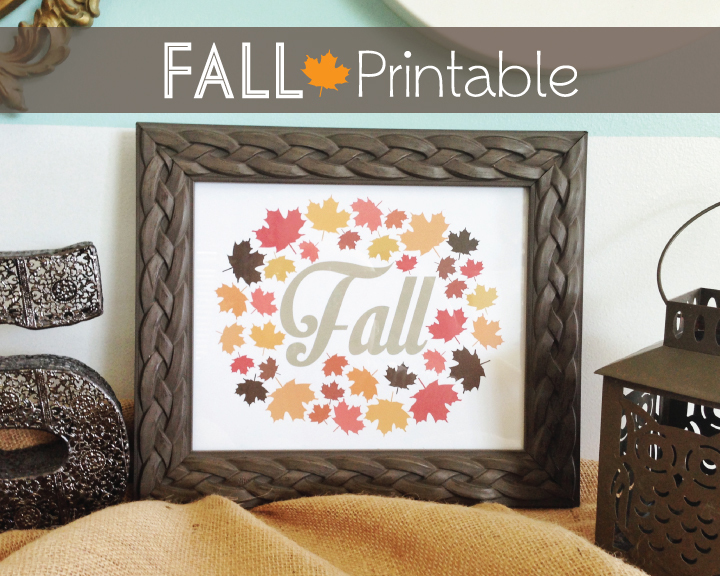 I created this Free Fall Printable for you to print yourself and frame or display it however you like! Plus, you can keep it up even past Halloween and into Thanksgiving. Those are my favorite kinds of decor because you get twice the use out of it. The end of Summer going into fall is always bittersweet because they are both great seasons, but I am looking forward to the coming months and all that it brings! CUTE! I love it! I hope it’s okay that I am sharing this post in a blog post I’m writing right now! Thank you so much, this is just darling…and so are YOU!